Great news for all sailors who plan trips on the great open waters. The NV Verlag charts for a.o. the Baltic sea are available in the 2019 edition. Some new chart sets were also added to our assortment. Click here for a full overview of our NV charts. 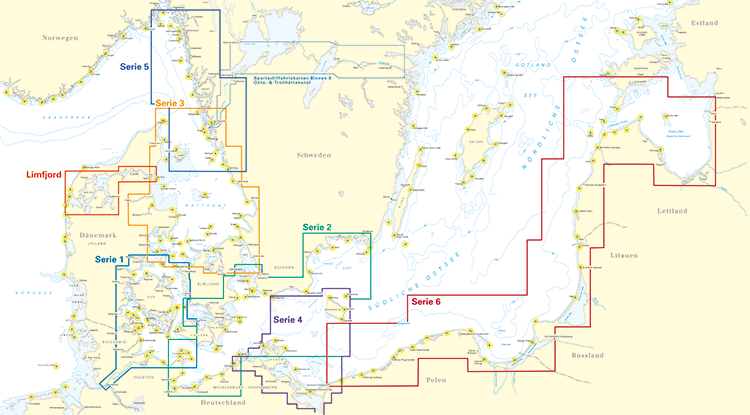 Thee popular Baltic sea charts are delivered as a combi pack: the paper chart set, a harbour plans and a download which allows you to install the charts in WinGPS 5. For voyages to the Baltic sea we recommend the DKW 1800 series and the DKW German Bight. These are both updated weekly, connect seemlessly and and will connect to the NV-Verlag Series 1 chart set. WinGPS 5 2019 available now! 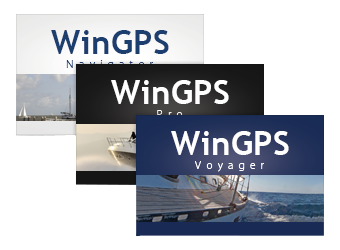 The navigational program for Windows, WinGPS 5, is now available in the 2019 edition. 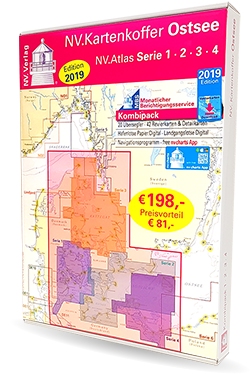 By purchasing this new edition and installing it on your system you are assured of the newest WinGPS 5, including all updates to the waterway network, bridges, locks and current & tidal information. When you have a Service Card 2019, you can download the 2019 edition directly from your Stentec-account.